Posto NYC for Thin Crust Pizza and a whole lot more. 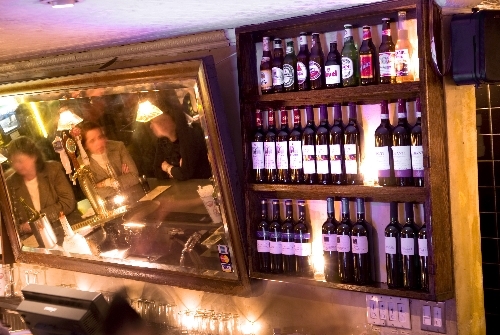 Find some of the world’s best thin-crust brick oven pizza at this casual wine and beer bar and full service Gramercy restaurant; midtown east, NYC. Posto Thin Crust Pizza is a cozy wine-bar pizzeria specializing in crackling-thin crust pies with the most creative topping selections you can imagine. The friendly atmosphere here is welcoming to newcomers who, with a single taste, quickly sense why this place is a favorite. The food menu at Posto Thin Crust offers a complete selection of house and custom personal and full-size pies, pasta dishes, appetizers, soups, salads and deserts. 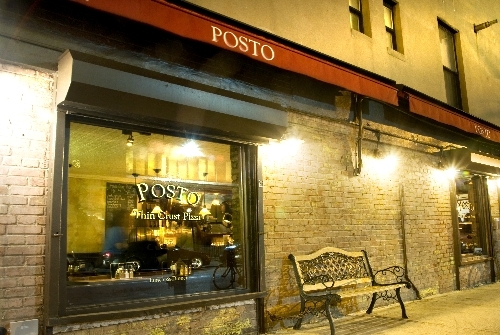 Kind selections of draft and bottled beer as well as wine by the glass or bottle compliment the food at Posto. They serve classic syrup sodas as well. Bars & Lounges, Restaurants. 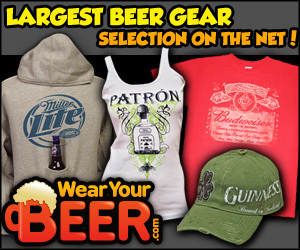 beer, wine bar, brick oven pizza, deliv, delivery, gramercy, italian, lower east side, nyc, pizza, restaurant. Time: Sunday Noon to 10pm, Monday to Thursday 11:30 AM to 11 PM, Friday and Saturday until Midnight. Delivery Hours Noon to 10 PM Daily.